Additional shipping costs may apply for orders outside the continental U.S. For more information click "Contact Us" in the menu bar or call us at 281-794-5755 . From her place just beyond the view of man, Grace could see and hear everything that transpired in both the seen and unseen realm. As an angelic being, she was able to move between the thin veil that was separating earth and the eternals. Like those of her kind, she was created to serve. Grace, whose form could change at will, appeared as a shimmering light shifting through a kaleidoscope of thousands of colors. Her face held the wonders of creation with the type of radiant beauty only heaven could create. Her complexion was neither light nor dark but a hue that could only be described as golden. Hair as soft as silk sur- rounded her face in a profusion of reddish brown ringlets that streamed just past her delicate shoulders. Of average height, she stood with the self-assuredness of royalty. The soft sheer fabric of her covering flowed softly around her body as she looked beyond the veil. In her role as a guardian angel, she was also able to move through the past, present, and future to carry out her assigned tasks. Her current assignment was not a new role for her. She had been guardian for thousands of years and realized that each new assignment brought new challenges. Folding her arms and taking a determined stance, Grace acknowledged that this situation would likely test her best skills. In a show of confidence, she pulled her shoulders back and stood arrow straight as a living light surrounded her, infusing her with power and unfathomable love. Still, the radiance grew as the torrents of light grew brighter. She knew she was not alone. She would have loved to bask in the glow of His love but she was sensing distress in the spirit of the one she was assigned to serve. Grace immediately turned her attention to observe with interest the scene unfolding in the Adams household. She knew of the events that would take place today but was powerless to alter them. To do so would also interfere with the divine plan. Only Clarissa, her charge, Caleb, Clarissa’s father, or Tess, her mother, could do that. It was a matter of their “free will” and how they chose to respond to the situation. Their destiny was choice driven. Grace would simply be there to bring God’s message of hope and to guide and protect them as best she could. Grace’s attention was again drawn to the scene beyond. She saw Caleb, as he stepped from the commuter bus and briskly made his way toward the English-style home where he lived with his wife, Tess, and daughter, Clarissa. He was casually dressed in a sport-shirt and slacks, appropriate attire for his job as a network analyst with a local technology company. His body was lean and muscular, a carry-over from his college football years. Standing well over six feet tall, he projected the image of a man in full control of his circum- stances. Funny, how looks can be deceiving. His swagger of self-assurance began to falter and his pace suddenly began to slow. Grace knew he could hear the yelling half a block away from the house. It did not take a genius to know that Tess and Clarissa were having another one of their knockdown drag outs,” as Caleb liked to call them. From the sound of it, it appeared that Clarissa was the one getting knocked down. 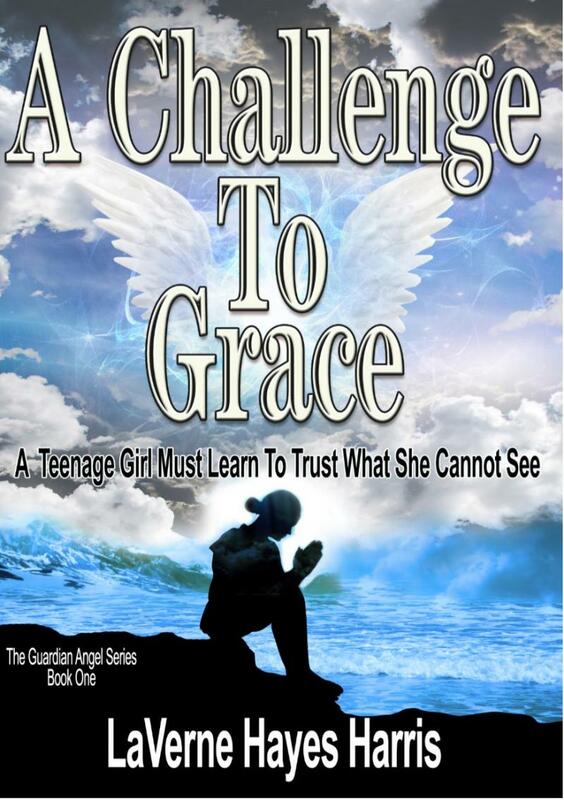 A heartwarming story of Grace, an angelic messenger sent by God to guard and protect Clarissa Adams. The turbulent teenage trials that Clarissa encounters threatens to put Grace and her holy resolve to the ultimate test. The story will take you on a journey of self-discovery that will move your ffaith to new heights." Copyright 2013 OMEGA PUBLISHING COMPANY. All rights reserved.